Jackson, Mississippi, is an ideal vacation destination any time of year. However, there are a myriad of other towns to explore beyond the city limits. While staying at the Historic Fairview Inn, take time to visit other places surrounding the capital city, like Vicksburg, MS! This thriving community was a pivotal township during the Civil War and has so much history. Visitors can explore haunted landmarks, attend annual festivals, dine at fantastic restaurants, and more! 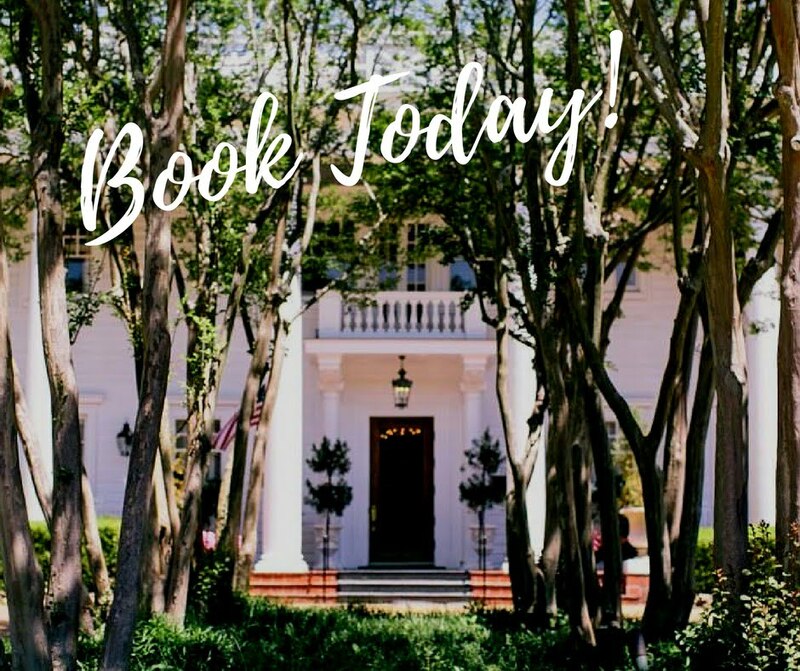 Experience the wonder of the Antebellum South and start planning your trip today. Before you make any travel arrangements, make sure you download our free Vacation Guide. It will help you map out your stay and select the activities you might like to do! Once maintaining a crucial role in the Civil War, Vicksburg is now home to a variety of attractions. History buffs will love all the museums and historic sites here. Get ready for a unique experience as you travel back in time! 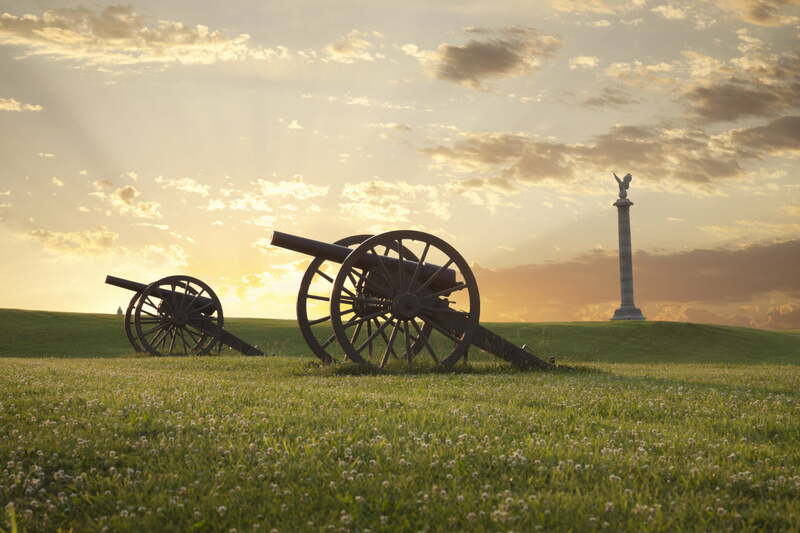 The Vicksburg National Military Park marks the precise location of the Civil War Vicksburg Campaign. During your visit, you’ll notice monuments dedicated to the states that engaged in this event. It’s even said that this place is haunted by the souls and spirits of former soldiers. Another site on the grounds of Vicksburg National Military Park is the USS Cairo & Museum. This retired Civil War-era gunship has a variety of exhibits to peruse, period-associated artifacts to discover, and a lesson to be learned. If you want to learn more about life on the Mississippi River, then this is the place for you! The Lower Mississippi River Museum displays lively and interactive exhibits about how the river was utilized by communities, families, and engineers over centuries. Learn about the 1927 flood, admire marine life in the 1,515-gallon aquarium, and experience life aboard the M/V Mississippi IV vessel! The Old Depot Museum teaches guests about the Mississippi railroad system. If you have fond memories of playing with an electric train as a child, you will love this place! It has all the artifacts and railroad memorabilia you’d expect from a depot museum. Take a look at the layouts representing the history of automobile, railroad plans, military boats, and ships, as well as all the exhibits from the old Vicksburg Battlefield Museum. Now this is a spot that makes for a fabulous picture! The Warren County Old Courthouse is a National Historic Landmark that you must add to your bucket list. The building sits on top of the highest hill in Vicksburg and is one of the most outstanding sites in the United States. 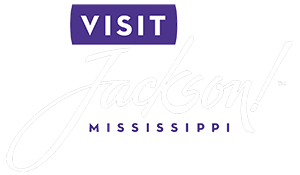 You can visit every day of the week from 8:30 a.m. to 5 p.m.
You’ll discover many haunted places near Jackson, MS, in Vicksburg. Guests are always captivated by the number of supernatural tales that define these sites. Listen to stories about late soldiers who lost their lives in the Duff Green Mansion, a former hospital, or explore the most haunted location in town — the McRaven House! This home once doubled as a campsite and hospital. You may even see a ghost during your tour! After visiting a few historic sites, reserve a table at one of the best Vicksburg restaurants. You’ll find regionally inspired cuisine and handcrafted libations at each of the eateries below. Whether you’re planning the perfect date or just want to grab a quick bite, the following destinations provide a catered journey for your taste buds. Beechwood is a cozy spot with delicious Southern cuisine. It’s been a local favorite since the 1950s and offers a family-friendly atmosphere and excellent service. Come for the best steak in town, or try other menu staples like po’ boy sandwiches, shrimp and crawfish, jumbo sea scallops, oyster platters, and more. Are you indecisive when it comes to food? If your loved ones can’t agree on what to eat, don’t worry; we have a place that will make everyone happy. The Gumbo Pot offers Southern seafood, pasta, burgers, and steak, as well as amazing desserts like creme brulee. They also have delicious weekly specials that are worth a try. Check the menu for more information! Monsour’s at the Biscuit Co.
Monsour’s is a treat for your senses! This second-generation, family-owned restaurant is a popular spot for locals and tourists alike. 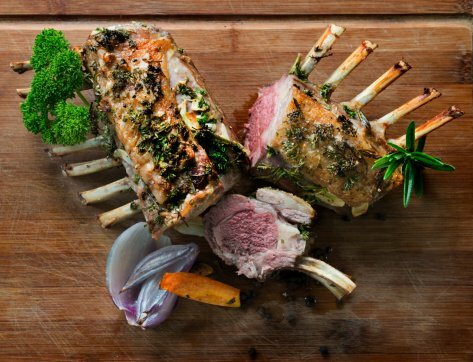 Taste some of the finest cuisine in the South, or opt for uniquely prepared Lebanese food. There’s even live music on weekends. Pop in for a drink at one of the best bars in town! Visitors looking for an authentic Southern experience should pull up a seat at Walnut Hills. This restaurant is housed in a historic building from the 1800s. It has all the features you expect of a Mississippi restaurant, including a porch, vintage shutters, and columns. On top of the gorgeous location, Walnut Hills also boasts a top-notch menu. Some even say they serve the world’s best chicken! We bet you’ll hear your stomach growl when you read the menu. 10 South Rooftop Bar & Grill is a trendier, more modern option in Vicksburg. Picture yourself with a cold beer, a side of pretzels, and a gorgeous aerial view of the city. You can have a fun time with your loved ones as you sample pulled pork tacos, fresh guacamole, and fried chicken. Make sure to leave some room for a Mississippi mud brownie! Why not indulge in a little retail therapy while in Mississippi? You deserve it, after all! Shopping in Vicksburg is one of our guests’ favorite activities. Browse the endless collection of Southern-inspired boutiques, exquisite stores, and other charming establishments. Each of these places offers a lavish selection of products, and whether you’re searching for an item to remember your time in the Deep South or a new outfit for your evening out, you’re sure to find something special! Discover Vicksburg’s largest antique store: Adolph Rose Antiques. With more than 10,000 square feet of floor space, you can find hundreds of artifacts and collectibles here. Browse through military relics, books, silverware, and glassware. Then, proceed to the second floor where a flea market awaits you! For the ultimate shopping experience, head to the Outlets at Vicksburg! Set aside some time during your stay for quality shopping and explore the many stores available at the outlets. You’ll find modern brands like Claire’s, Gap, Rue 21, and Westpoint Home. After you’re done browsing, grab a bite to eat at an onsite restaurant like Cracker Barrel or Billy’s Italian Restaurant. Didn’t find what you were looking for? No worries! You can explore even more amazing stores at the Vicksburg Mall. In the heart of downtown Vicksburg is Sassafras, a lovely local shop offering exquisite table decor. As soon as you enter the store, you’ll be greeted by a customer team that will help you find what you’re looking for. Choose from a wide variety of tabletops, silverware, glassware, vintage and antique linens, crystal, china, and many more items! One of the most popular Vicksburg, MS, things to do includes attending annual events. We love the Riverfest Music & Arts Festival, which features local musical and artistic talent. Experience this creative showcase during the early days of April. There are many other upcoming events to enjoy, too. Here are some of our favorites! Martin Luther King is a celebrated figure in Mississippi, and Vicksburg is no exception! The parade celebration includes a wonderful demonstration on Belmont Street and ends with a mouthwatering barbecue at the Farmers Market on the corner of Grove and Washington Street. Vicksburg offers an exciting Mardi Gras experience, and this year, you could be a part of it! It’s one of the largest celebrations held in historic downtown Vicksburg. Marvel at the costumes and the parade, enjoy comforting Southern food, and participate in several workshops scattered throughout the streets. Are you an avid runner? The Chill in the Hills event is made for you. For more than a decade, this highly anticipated run gathers locals and tourists for a good cause. Challenge yourself on the 10K run, 5K walk, or the one-mile fun run! All proceeds go to the the Grace Christian Counseling Center, a non-profit organization providing professional counseling services. You can be a part of one of Vicksburg’s oldest traditions! Join the Coin Show and watch as collectors and dealers show their coin collections to the public. Even if you are an amateur collector, it’s worth a stop! Learn more about our community’s exciting events on the Vicksburg calendar. Have fun exploring Vicksburg during your stay at The Historic Fairview Inn! It’s ideal for a quick day trip from Jackson. Our luxurious boutique hotel offers a gorgeous selection of individually appointed accommodations, all designed to showcase the area’s history. Browse our suites and pick your favorite! Our rooms are a great choice romantic getaways and anniversaries, so consider having your next couple’s retreat here. On top of our comfy and elegant rooms, we also have an on-site restaurant, spa, and a Library Lounge where you can relax and enjoy a cocktail before dinner.